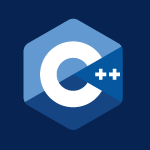 In this tutorial I’ll be covering While, Break, Continue, Exception Handling, Do While, Random Numbers and more complex problems for you to solve. The problems are starting to get more complex, but don’t worry if you can’t solve them. The goal is just to get better at solving problems, which only comes from practice. All of the code follows the video below. If you like videos like this, consider donating $1, or simply turn off AdBlocker. Either helps me make more videos.